The Queendom of Falena, ruled for generation upon generation by the women of the royal family: a vibrant nation, criss-crossed by canals and bustling with commerce. The Prince of Falena and his friends are about to embark on an adventure that will take them far and wide across this land, and beyond its borders to neighboring nations too. The main character, the Prince of Falena, is not given a name in the game. He is called Freyjadour in the novelization, often shortened to Frey. Come here for any gameplay needs. Videos of memorable scenes from the game, in full-motion video. 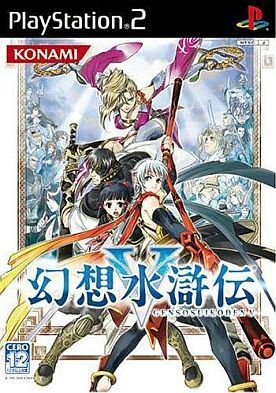 This lists all available releases of Suikoden V across all platforms and various re-releases over the years.